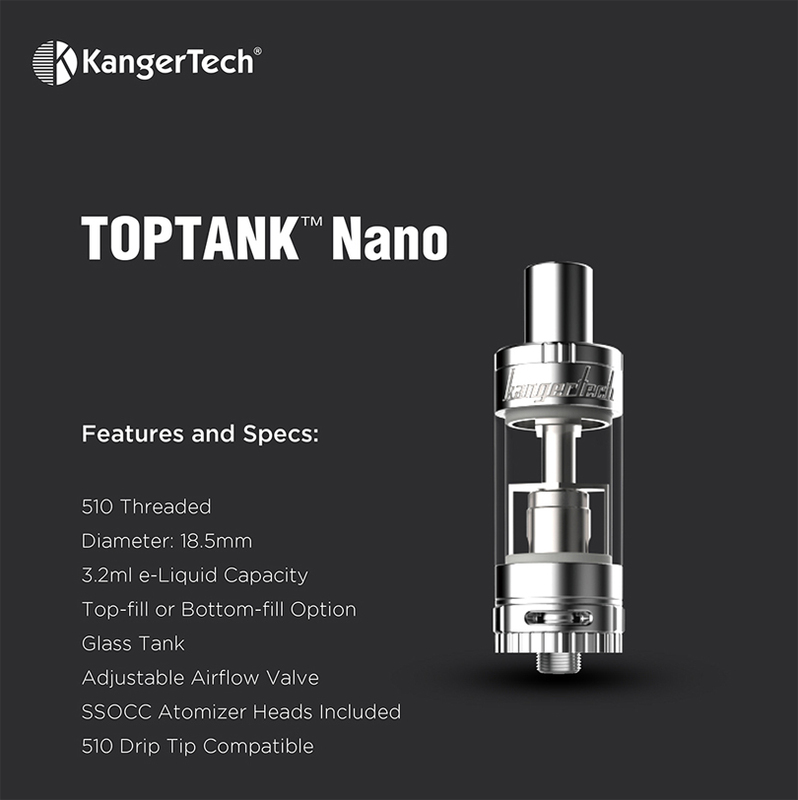 As the next generation of the Toptank series, Kanger Toptank Nano is so charming for its easy operation and big eliquid capacity of 3.2ml. 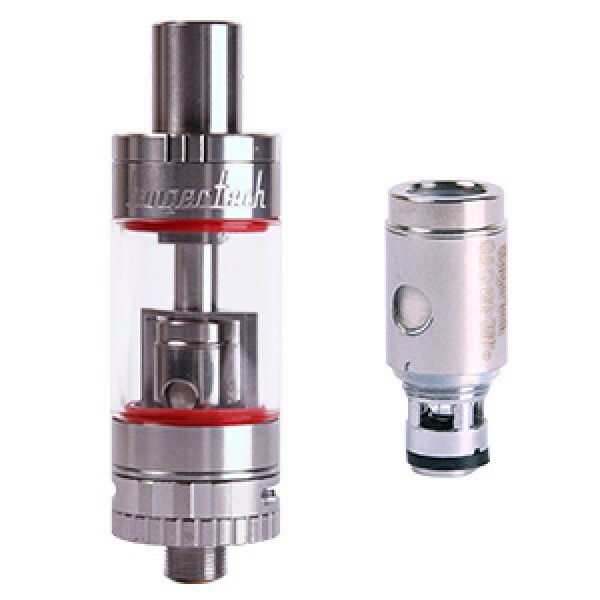 The amount airflow of this Toptank Nano can be freely adjusted through a bottom airflow control valve and it adopts the all-new top-fill design to refill eliquid, also can be bottom filled. 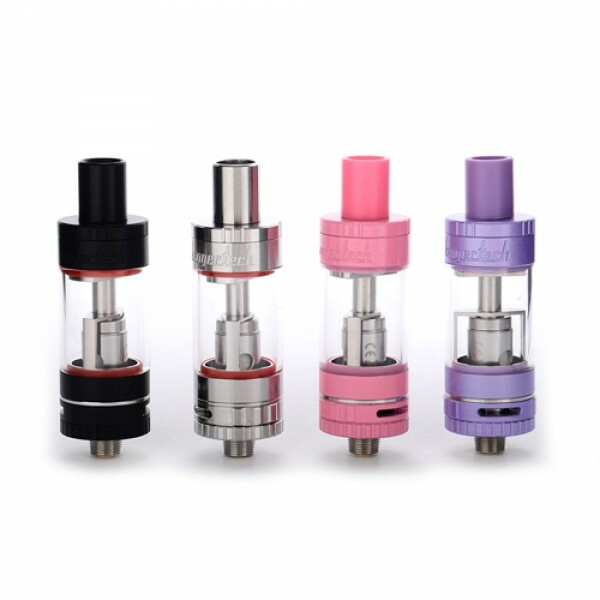 New SSOCC atomizer heads are compatible with Kanger Toptank Nano for more flavor, vapor and airflow. Distinctive and colorful options are available, including black, silver, pink, purple. 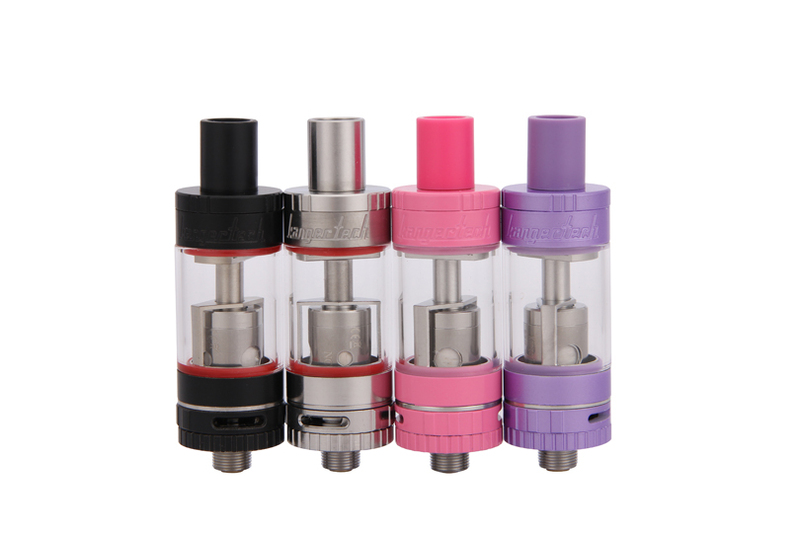 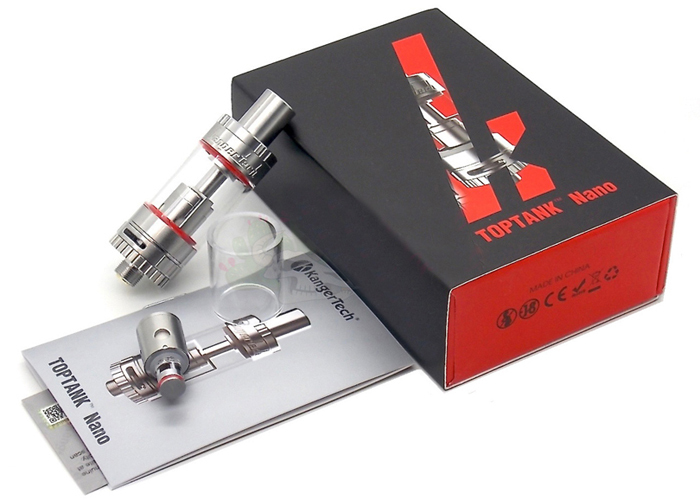 This tank uses a sub-ohm resistance atomizer. 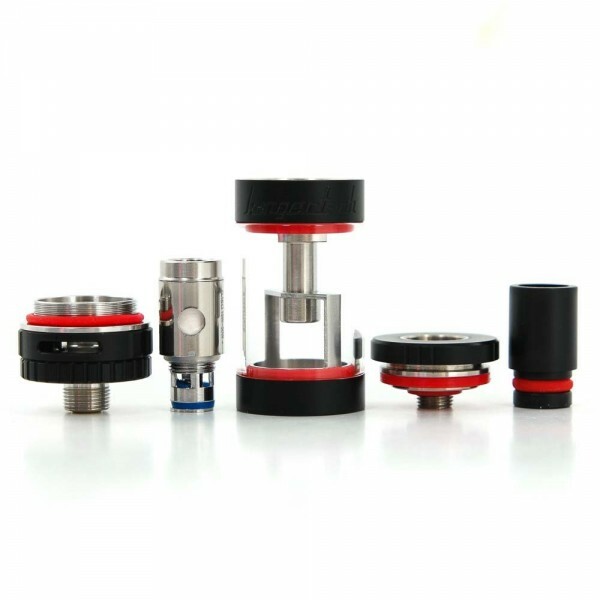 It will only work on a mechanical mod or if you are using a regulated mod, make sure it can handle SUB OHM coils, that is capable of firing an atomizer of 0.5ohm or lower.